Description Take a walk through a magical pop-up storybook, testing your visual awareness skills against the clock. 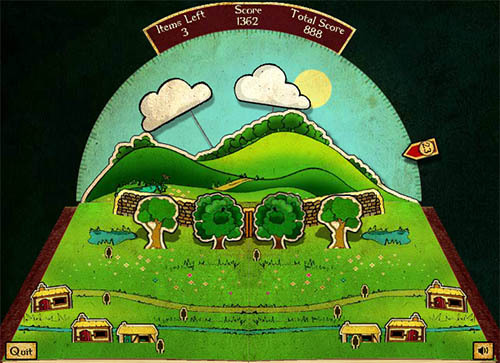 This beautifully illustrated game will keep you addicted for hours! When opened, the book will pop up items on the left and right hand pages. The aim of the game is to make the items on the right hand page mirror the items on the left. Nice puzzle game. I just wish that green colour was a bit more soft.